According to Deadline, the synopsis reads: In the final days of the Nazi rule, which came down to the absolute destruction of everything that makes a culture keep its standing, including the lives that are lost and the sacrifices that are made. All of this is in danger of being lost forever as Hitler and the Nazis try to cover the tracks of a murderous regime. A crew of art historians and museum curators unite to recover renown works of art that were stolen by Nazis before Hitler destroys them. 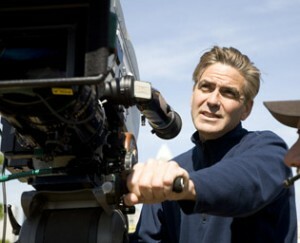 ‘The Monuments Men’ will start shooting in Europe March 1st, with the same production crew as ‘Argo‘. This sounds pretty good. I can’t wait to see Murray in this role. And I’ve enjoyed Clooney’s directorial efforts in the past, so I expect this one to be great, which this film seems to be his biggest yet. This entry was posted on Monday, October 29th, 2012 at 12:00 pm	and is filed under Film, News. You can follow any responses to this entry through the RSS 2.0 feed. You can skip to the end and leave a response. Pinging is currently not allowed. I hope he follows the tone of the book. It’s got Bill freaking Murray in it, it’ll be good. Doesn’t matter, the rest of the cast, the story, whatever. It’ll be good. « Arnold Schwarzenegger Will Return to the ‘Conan’ Films!! !